Eric J. Monzo focuses his practice on issues relating to business restructuring and insolvency. He regularly represents a wide range of stakeholders with a focus on corporate debtors and their independent and special committee management, in addition to, commercial creditors, official and unofficial committees, indenture trustees, and lender groups. Eric handles matters relating to the restructuring and liquidation of companies in a broad range of industries with experience in construction, energy, finance, food and beverage, healthcare, technology, transportation, real estate and retail. While many of the matters pertain to matters pending in courts located in Delaware and involve issues of Delaware law, many of these matters relate to multi-jurisdictional and international insolvency proceedings and litigation outside of Delaware. A specific area of focus of Eric’s practice includes assisting clients regarding complex legacy liability issues in bankruptcy such as environmental, pension, union and similar types of claims. 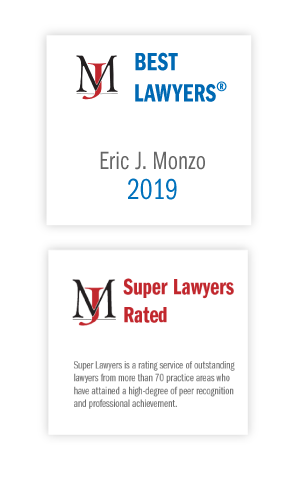 Eric earned a certification in employee benefits through the Temple University School of Law and assists clients relating to issues of executive compensation, deferred compensation, severance, and ERISA in the context of bankruptcy. While in law school, Eric was a member of law review. Upon graduation, Eric served as the law clerk for The Honorable Mary Pat Thynge, United States Magistrate Judge, United States District Court, District of Delaware. Represented Secured Lender in Chapter 11 cases of Jevic Transportation, Inc., et al. Lead trial counsel for defendant that obtained a full defense judgment relating to allegations of avoidance of pre-petition transfers alleged to be preferential under the Section 547 of Bankruptcy Code. Chair of the Ethics Commission for New Castle County charged with administering the New Castle County Code of Ethics which emphasizes guidance and training to public officials and employees regarding the ethical requirements established by New Castle County Council. Children and Families First, Board of Directors, a non-profit social services agency whose branches have touched every corner of Delaware, with services that are child-centered and family-focused, forming a comprehensive continuum of quality social, educational and mental health services. Previously, Eric was the President of the Board of Directors of Supporting Kidds, Inc., which is now a program of Children and Families First. New Castle County Chair to the Combined Campaign for Justice, which helps funds many low-income Delawareans faced with critical challenges in their lives through the assistance of Community Legal Aid Society, Inc. (CLASI), Delaware Volunteer Legal Services, Inc. (DVLS) and Legal Services Corporation of Delaware, Inc.
Court appointed guardian ad litem and/or counsel to children in family court proceedings through Delaware’s Office of the Child Advocate.